Up moves, Down moves and Sideways price moves. Trend indicators help defining the prevailing direction - trend - of the price moves by smoothing price data over a certain period of time. In simple words, Trend indicators allow to visualize Trends in the market. May I please ask about trend lines. Are they also belong to trend indicators. If yes, why you don't mention it here. Trend lines are not exactly indicators, but rather technical tools. Trend lines are graphical analytical tools, applied by traders without any mathematical formula behind them. However, you'll be right naming trend lines as indicators if we start speaking about automated trading systems, where even trend lines are drawn by a software. Here we've covered Forex trend lines. Please i need your help, i want you to please give me some free eBooks that explained better about Trend Indicators, and the ones that explained better Oscillators. I will be very happy if you can help me with it. Jyde... Becoming your FX apprentice. I don't have any particular e-books on these subjects, unfortunately. I'm sorry. I think browsing through the maze of Forex websites can bring some results. I'd like to know if there is an indicator out, so that it may count bars from a low or high point and project out from that low or high eg. 30 60 90 bars and so on. I'd like to be able to pick a number of these highs and lows and start counts from them. So that I may see if a cluster appears eg. 90bars 180bars 360bars 1440bars coming together from various highs and lows at some future point. This is a Gann tech , if anyone can help thanks. I haven't come across such indicator yet. It won't be right to give reference to any indicator in this case. It'll depend on many variables, such as time frame, currency pair, other indicators you already use for analysis, the type of trading you look to do etc. In some cases it'll be one indicator, in others - another. I am a new guy. I dont know how to place a pending trade. Pls can any one help? If you can't find those types of orders anywhere on your platform, don't be hesitant about asking your broker to help you find it, they'll be glad to show you. 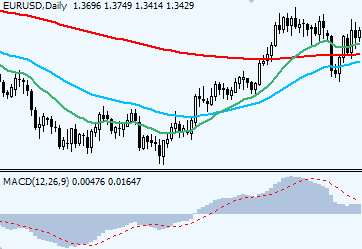 Hello.. On this very page, there's an image of moving averages and they seem to be good..coz i notice that when in a sell position, the lower MA acts as a resisatance and when in buy, the top most MA could give one an option for taking profits? Could you please tell me what parameters you used?? Thanks. 20, 50 and 200 SMA. Pls could you review FX SNIPER indicator ? Thanks for your great job.